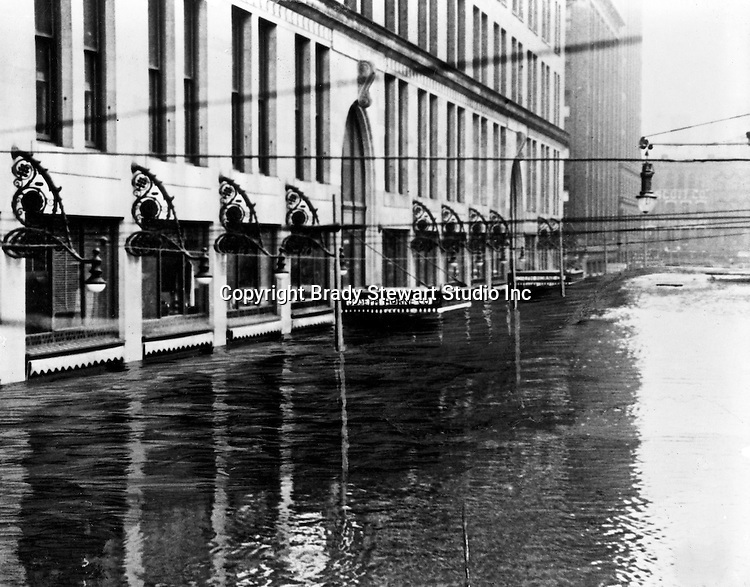 Pittsburgh PA: View up Stanwix Street of the Joseph Horne Company Store during the flood - 1936. On March 16, 1936, warmer-than-normal temperatures led to the melting of snow and ice on the upper Allegheny and Monongahela rivers. Heavy rains overnight caused the waters to rise quickly and the water peaked at about 46 feet, 21 feet above flood stage.